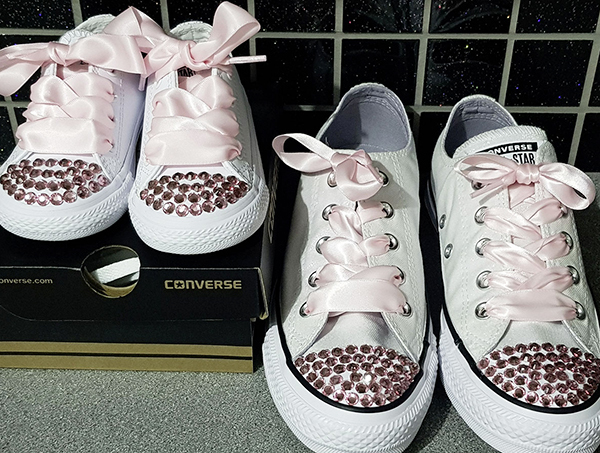 I wanted my two-year-old daughter Emily and me to wear matching shoes at my wedding. I bought some plain white pumps and jazzed them up by attaching pink gems and threading baby pink ribbon for the laces. Now Emily and I will be a perfect team while we’re walking down the aisle together.